Once you’ve seen the spectacular attractions on offer in Gaudí’s city, and tried out a tour or two, it’s time to relax. And, what better way to do so than by kicking back with a cocktail and some traditional Spanish tapas at one of the many beach bars of Barcelona. Situated right on the beautiful beaches of Barcelona, these top summer hotspots come in many different shapes and sizes, from the popular “chiringuitos”, to the biggest clubs and pubs lining the shore. Enjoy a delicious meal, indulge in a few cheeky drinks or simply chill out, all with the turquoise Mediterranean Sea as your backdrop. A favorite among tourists and locals during the warmer months, the chiringuitos of Barcelona are essentially open shacks built on the sand, offering the perfect setting for unwinding during the day, and partying at night. Originally catering to the fishermen of the city, nowadays these cool beach bars offer a wide variety of drinks and snacks, from authentic tapas to some of the best seafood in the city. 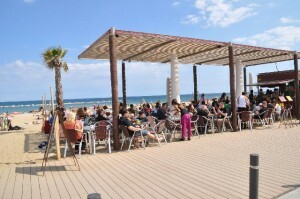 What’s more, depending on the chiringuito you choose, you can enjoy your meals listening to some live DJ sets, enjoy some fabulous beach parties and even catch a glimpse of some summer sports on the big screen TVs. Here, we serve up a taste of some top chiringuitos in Barcelona as well as a few of our favorite beach bars. 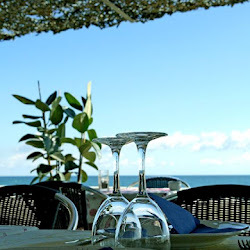 Located on the beautiful Bogatell beach, El Xiringuito Escribà offers a delicious take on typical Mediterranean cuisine and some mouthwateringly fresh seafood dishes. 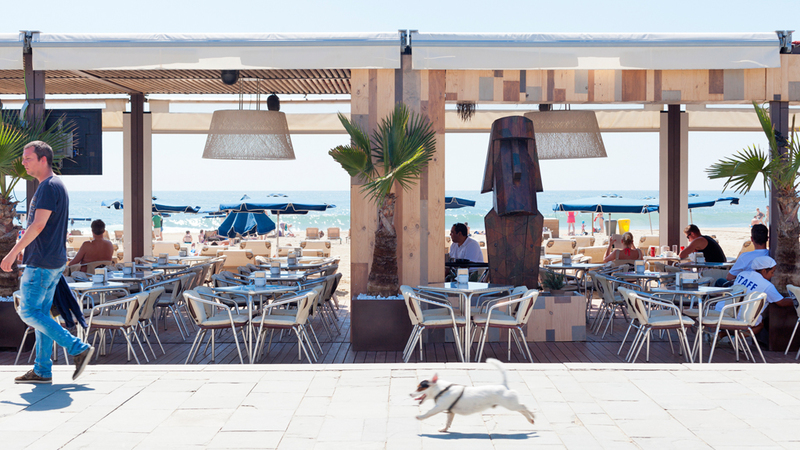 Perfect for fantastic summer dining, this bar-restaurant delivers cool cocktails with your meal and is situated on one of the trendiest beaches in Barcelona. Make sure you save room after your dinner because this place is famous for its desserts! We recommend ordering the paella followed by a slice of one of their amazing home-made cakes. How to get there: Avinguda del Litoral, 42. Take Metro L4 (Yellow Line) to Ciutadella/Vila Olímpica. food that varies from European to Asian cuisines. 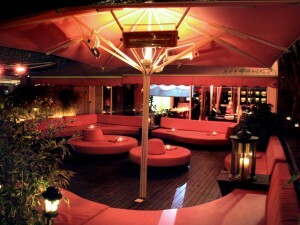 Don’t forget to stick around for the amazing parties at Shôko nightclub. The club is a regular host to all-star international DJs like Felix de Housecat and Sammy Jo from the Scissor Sisters, in addition to their sprawling list of resident DJs. We recommend heading here around 10pm to have a great dinner and time to relax before getting the party started! How to get there: Passeig Marítim de la Barceloneta, 36. Take Metro L4 (Yellow Line) to Ciutadella/Vila Olímpica. Want a truly unique night on the town? Look no further than Icebarcelona. As strange as it may sound, this ice bar is set just steps from the beach, making it one of the best places to cool off on a hot summer night. Leave your jackets at home because as soon as you walk in, you will be dressed in a cozy winter coat and gloves. 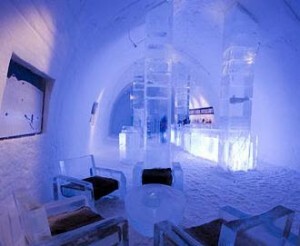 For the full experience, we recommend taking a seat on one of the Parc Güell-style benches and ordering some drinks served in frozen ice glasses. How to get there: Ramon Trias Fargas, 2. Take Metro L4 (Yellow Line) to Ciutadella/Vila Olímpica. 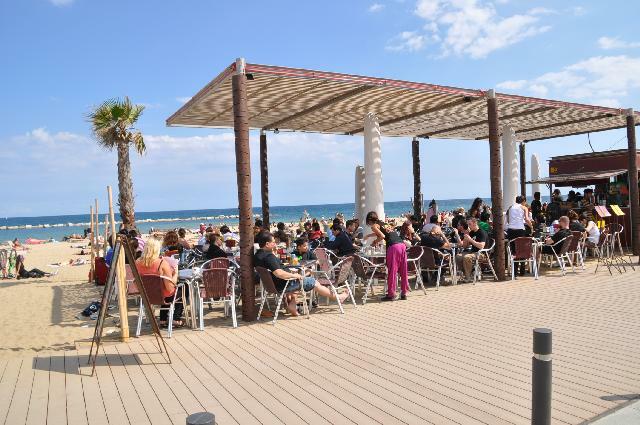 Situated right in the middle of the Barceloneta beach promenade, La Guingueta is one of the most frequented chiringuitos in town. This lively hangout offers up some great dishes so it’s a good place to grab some lunch in the shade during your visit to the beach. And don’t forget about the drinks! This place serves refreshing classic cocktails as well as delicious fresh smoothies at reasonable prices. We recommend stopping by later on in the day and taking in the cool evening vibes whilst watching the sun go down . How to get there: Carrer de Guiter, 61. Take Metro L4 to Barceloneta and walk along the beach in the opposite direction from the W Hotel. Looking to escape the crowded Barceloneta beaches? 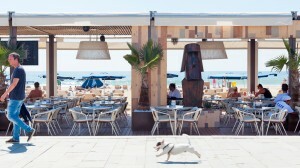 El Boo is one of coolest beach clubs in Barcelona right now and a known hotspot for locals. Situated on a small pier between the Mar Bella and Nova Mar Bella beaches, this is a perfect place to relax by the Mediterranean Sea and enjoy a drink or two. 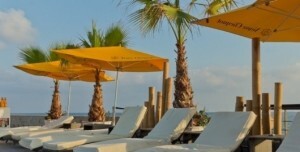 We recommend reserving one of their seaside hammocks or VIP beds so you can really relax and soak up some rays in style. How to get there: Espigó de Bac de Roda 1. Take Metro L4 to Poble Nou. Vai Moana can be found on the Bogatell Beach. It’s a hit with the local crowd, and you can find plenty of tasty Mediterranean snacks on their menu, funky tunes in the evening and a cool surfer vibe during the day. We recommend heading to some of their sister locales too, which are spread all across the Barcelona coastline: Blue, La Deliciosa, Bambú and Gurú. How to get there: Av. Litoral, s/n. Take Metro L4 to Poble Nou.